Home Unlabelled What is the real cost of a college education? "Student loan debt" - three simple words that are abrasive enough to make even the strongest stomachs turn. It's a phrase that seems to constantly be in the news, whether individuals are talking about the associated interest rates or trying to advocate for its forgiveness, and it deserves proper attention, as so many people suffer under the weight of the crippling amounts they owe. The sheer number of Americans struggling to pay off their school debt is well into the tens of millions, with interest rates as high as 8.5 or 10 percent on some. With these numbers, people are taking a hard look at the true cost of a college education. Yes, higher education institutions are businesses that need to be sustained and raising the cost of tuition is the easiest way to stay afloat. Still, what can be done about a college or university's spend management that could possibly prevent costs from rising and keep students from getting themselves into debt? As it stands, there are 43 million people in the United States who have some amount of student loan debt, according to Good Magazine. All of their debt combined amounts to more than $1 trillion, with the average individual owing about $27,000. These numbers are "astronomical," noted the source, and there's very little the the American government or the schools themselves are doing about it. Massachusetts Senator Elizabeth Warren, an adamant advocate for the abolition of student debt, has tried to help the millions in debt by drafting bills and amendments that would allow individuals to refinance and potentially fix the problem of American college debt. Her recent efforts, stated The Hill, have again proven fruitless, as the Senate Republicans voted down the latest proposed amendment. There's much debate on the Hill as to why efforts for loan refinancing keep being shot down by certain parties, but the end point is that the borrowers are suffering the consequences of a massively expensive yet necessary rite of passage. Without fail, the cost of a four-year education increases. 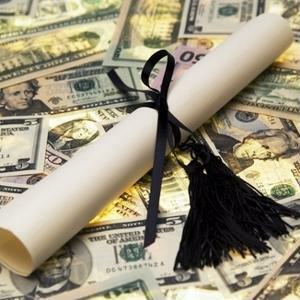 For the 2014-2015 academic year, Wealth Management reported that the average price of tuition is as follows: $18,943 for an in-state public school, $32,762 for an out-of-state public school, $42,419 for a non-profit private institution and $60,000 for a private and selective institution. While there are scholarships and assistance for need-based cases or merit, rarely do they cover the whole cost. Of course, there are many things for which the tuition pays, but does the price need to exceed the yearly wage of the average American citizen? Many advocates use the European higher education system as an example when citing the cost of a quality college experience - the real issue stems from the government providing free or subsidized education at a four-year institution. Since it doesn't seem likely that costs will be covered by a federal budget, is there any way for institutions to manage their spending in such a way that can lower the sticker price without sacrificing quality? Perhaps, one day in the future, colleges can procure the necessary products, materials and services to run an institution at a more affordable rate. Maybe eventually procurement services and higher education centers can work together to come to a fiscal agreement that pleases both parties. No one should be denied a college education because of the cost. It should be our duty to provide students with the means to succeed without putting them thousands of dollars in debt.